Email Marketing is a popular and cost-effective form of advertising that is widely used around the world. Allowing businesses to communicate and interact directly with their customers, quality email campaigns can generate and build both sales and brand awareness. If you are interested in finding out more, please read on; however if you would like to compare companies, please complete the form above to receive free, no-obligation quotes from top UK email marketing agencies. Email Marketing is an effective modern form of communication that allows businesses of all sizes to communicate with both existing and prospective customers. Mostly used to maintain brand awareness and generate sales, email marketing offers excellent ROI rates as well as opportunities to easily engage with target audiences. In the most general sense, every email sent from your business to a client or potential client forms a part of your email marketing. Email can perform many functions: from introducing potential clients to your website and business to bringing back old clients to buy your products or services again. At every stage of a client’s relationship with your brand it is vital that you cultivate a successful email marketing strategy. A well designed and executed email campaign is far more likely to bring in new customers and keep old ones than one that has been poorly planned and implemented. Thanks to the relatively low cost of email marketing, it plays an increasingly important role in most businesses’ marketing strategies and continues to be amongst the most successful tools for product and service providers. Whatever your industry or sector, it is likely that email marketing will benefit you. If you don’t already employ a strategy then it’s certainly high time you considered it. Certain strategies can be employed to improve email marketing campaigns and so there are real benefits for marketers that use it properly. Of course, it is also possible to misuse email marketing, with all of your communications heading straight to the ‘spam’ or ‘junk’ folders. Sometimes getting the help of professional firms is the best way to avoid these pitfalls. If you are interested in making use of external companies, just complete the form at the top of this page to receive up to 4 free, no-obligation quotes from companies that can help take your business to the next level. Email Marketing is one in a number of advertising tools that has grown in recent years alongside the rise of the online world. Thanks in part to the availability of smart devices, email marketing continues to grow and offer businesses an effective method of client communication. Cost. Email is less costly and labour intensive than some other forms of advertising. Additionally, when companies buy data they are able to eliminate another time-consuming process that can aid their email campaigns. Tracking. It is easy for businesses to monitor email response and click-throughs, making it very simple for people to accurately track the success of a campaign. Speed. Emails reach your target audience almost as soon as they’ve been sent so you can carefully plan campaigns around events and promotions, leading to quick returns on the money spent. Access. Most people check their emails everyday with a significant portion checking them several times a day. Few advertising tools guarantee such consistent visibility. Click-through. Recent figures suggest that a transactional email is 8 times more likely to be opened and clicked on than any other type. Staying power. Nearly a quarter of people who open an email on a mobile device will open it again later. ROI. It has been calculated that $38 is made for every $1 spent on email marketing. Email Marketing can be integrated into a wider marketing strategy with content easily edited and options included that can lead recipients to your website and selling pages. Email Marketing can also boast enviable response rates of between 1% and 3% on average. This means that a business could expect between 10 and 30 responses for every 1000 emails sent, with this number potentially rising much higher depending on how well the campaign has been executed. Email Marketing companies offer a number of services to suit almost every businesses’ advertising needs. For companies that are new to email marketing, employing the experience and expertise of an external agency can sometimes be the best way to proceed. 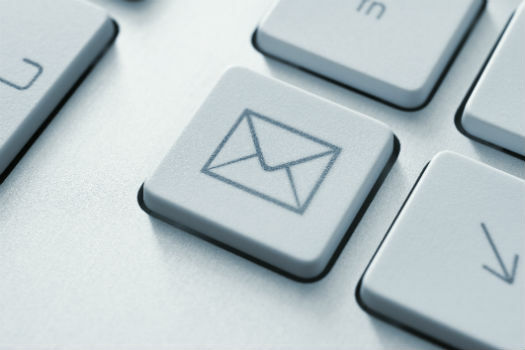 According to Forrester Research, US businesses alone are expected to spend around $2.5bn on email marketing by 2016. This huge sum is both a testament to the widespread use of email marketing companies, and an indicator as to the amount of money that can be involved when an email marketing campaign is executed properly. With 90% of the 2.8 million emails sent every second thought to be spam or containing viruses, email can be controversial. This fact alone should be enough to outline what kind of problems a company can face if they do not proceed carefully with their email marketing campaigns. For those who are new to marketing, something like an email subject line can seem like a small consideration, and nurturing a relationship could seem unnecessary. But it’s this kind of misunderstanding that often leads to the unravelling of a campaign. Fortunately, experts can help you to avoid these sorts of pitfalls. Whatever your business and whatever your objective, employing an email advertising agency can be a huge help. Whether you are interested in targeted, opt-in or bulk emailing, it is important that you receive the right support. There are plenty of email marketing companies that offer both email lists and campaign management services. It’s more common that you’ll only be looking for one or the other, either because you already have a dedicated marketing team to handle the creative and analytical side of things or because you already have a database of prospects that you’ve built yourselves. Whatever it is you’re looking for though, simply click the link below and complete the form to receive up to 4 free quotes from top UK email marketing companies. Although B2B and B2C businesses will employ some of the same basic principles during their marketing, it is important to remember that there are some distinct differences between them. B2B email marketing requires a number of things to succeed. Don’t adopt a scattergun approach. Use a supplier who can provide a B2B email marketing database tailored to your needs. For B2B, select lists with email addresses for specific job titles, company activity, location and company size. Check to be sure that the contact details have been checked recently - an inaccurate email address list is unlikely to help your business. Get email data for the potential customers with particular behaviour, hobbies or interests that match your existing client base, products and services. There’s no point at all in sending the email if you can tell from the figures you have that the person receiving it won’t be interested. Whatever your business, quality data should be one of your main considerations. Sending a florist information that’s suited to an engineer won’t benefit you or them. Ask questions of your data provider if you are using one, and check the accuracy of your own figures if you’re relying on an in-house database. Lastly, be sure to design your emails in a way that will appeal to the target audience. Don’t appear spammy, and make sure you do use language and images that match the demographics you’re reaching out to. If you aren’t sure about creating emails that your existing or prospective clients will like, then perhaps employing a creative agency would be a good way to maximise the effectiveness of your campaign. Whether you’re new to email marketing or have years of experience, there are many ways that employing external agencies can help. Approved Index helps businesses by offering free quotes from a number of top companies. To get started with your email marketing campaign, simply click the link below and complete our quick and easy enquiry form. We will then provide you with up to 4 free, no-obligation quotes from some of the UK’s best email marketers.